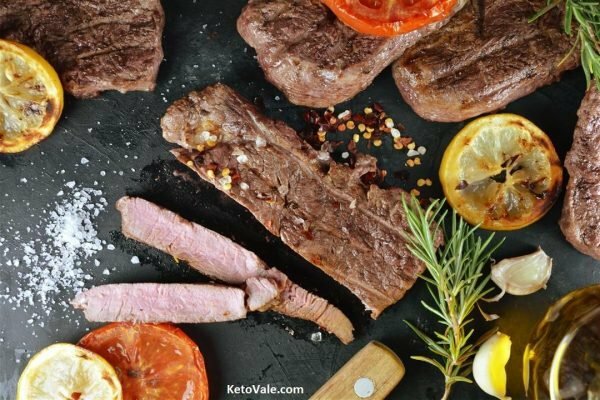 Take out the steak from the fridge 20 minutes prior to grilling. Allow cooling at room temperature in a covered container. While preheating the grill to high, combine the rest of the ingredients together in a bowl. Coat both sides of the steak with the mixture. Grill the meat for 4-5 minutes. When one side is slightly charred, flip the steak and grill for another 3-4 minutes to make a medium-rare steak. Transfer to a cutting board and let stand for 5 minutes to cool. Slice into slivers and serve with any low carb veggies or salad of your choice. 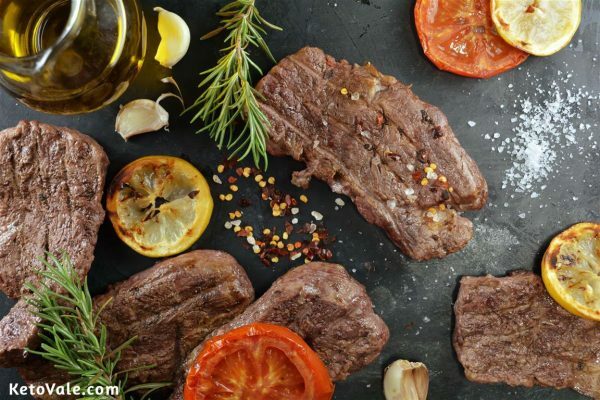 Brushing your steaks with mustard-based marinade will make your meat perfectly soft and juicy from the inside, while the grill will give you the crispiness you love! If you have some extra time, you can let the steaks sit in this marinade for 15-20 minutes before grilling. This will allow the flavors to penetrate deep into the meat. Add some lemon juice for even better fresh taste and enjoy!